Well sort of 'Bye bye Batman'. It was time for the site to grow up a bit (not completely, I promise) hence the changes that have been happening over the last two days. I tried to find a suitable background image myself, found something that lasted around 20 hours before I decided that I wasn't happy with it and have, for now, gone with something that Blogger offer. Batman does live on though, on Twitter, not in his original guise though because @jackfaulkner went and made this for me. 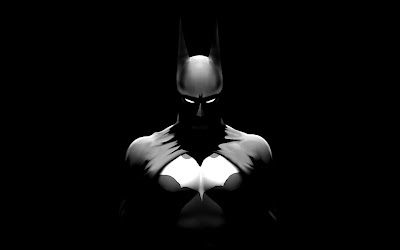 Next #iconthursday: Most iconic twitter avatar? I nominate your batty pic. It was the most recognizable in my feed. It was simple, bold, and never changed. It was steady. Like you. But I applaud your change. Sometimes it's just time, isn't it? 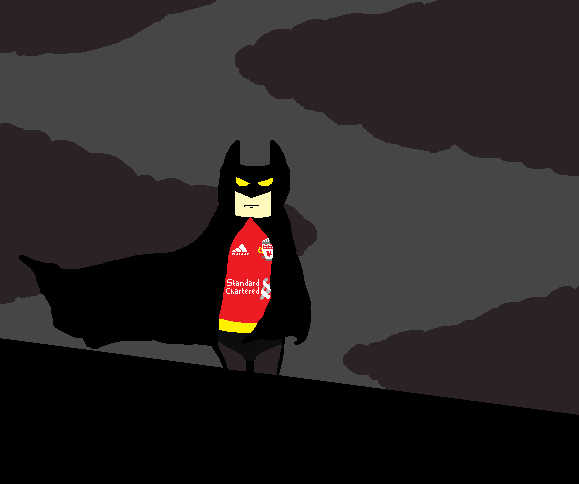 Is it a coincidence that Batman in a Liverpool shirt results in tragedy for the Liverpool team? Surely it is not. I will not mourn the passing of Batman. He is a fictional and complex character. The last time I checked, he never once wrote any reviews on videogames, or subsribed to any accountancy spreadsheets. I doubt he even has an Xbox.